Former President, Chief Olusegun Obasanjo has disclosed that his desire to know the exact day he was born made him to travel to India where he met with astronomer , but, could not achieve is aim. Obasanjo who spoke in Abeokuta at 2017 International Youth Variety Day and Public Presentation of volume one of Olusegun Obasanjo’s Books for Children , acknowledged that 1937 might not be the exact date of his birth, said, he was convinced that he was born around the year considering the age of some of his childhood friends. 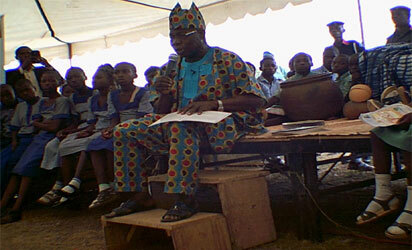 According to Vanguard, Obasanjo had insisted that, he was born in 1937 on market day in Ifo in Ogun State. “‎I do not know the date of my birth, then, I used to ask my mum that ‘mama they said we should come to school with our date of birth and my mum will say you are very stupid, you are born on Ifo market day. And whoever wants to know the date of your birth, tell them you are born on Ifo market day. “She explained that all she could remember was Ifo market day. she was ready to go to Ifo market that day before she went into labour , before those that went to market comes back ‎I have already been bone. “That then led me into the trouble of trying to find out when I was born, I was not as lucky as some of my colleagues that have their date of birth . In fact, I went to an astronomer in India, I told him to look at my palm and tell me my real age, but ,all he told me was that I will have longevity of life, but, that was not what I went to do. So, I concluded on the date that I have chosen.